Authored by rbreu on Jan 7 2019, 9:08 PM. 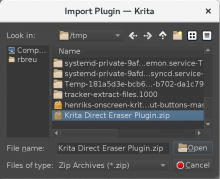 Then the found desktop- and action-files and the Python module directories are extracted into the corresponding pykrita and actions folders. 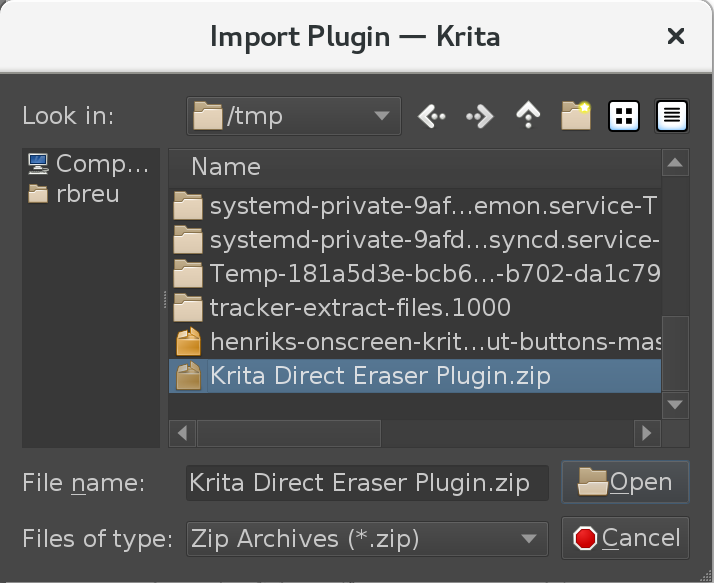 This approach is very flexible and doesn't seem too error-prone to me, as long as the zip files aren't too wild. (One could easily make the algorithm more restrictive, though, if needed.) 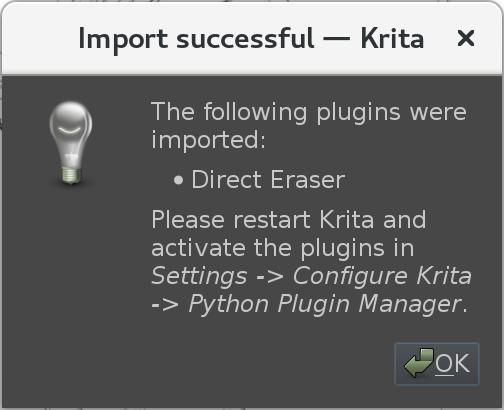 I've tested it with a couple of Python plugins out there, on Linux as well as Windows. 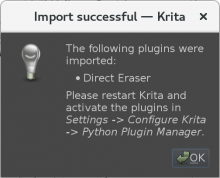 The Plugin can be found under "Tools > Scripts > Import Python Plugin...". 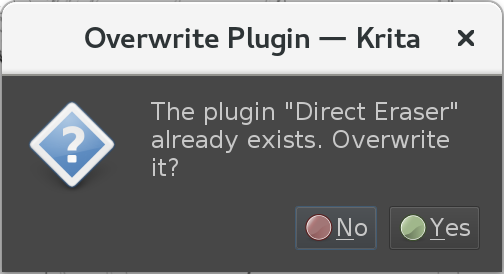 It's enabled by default. I think that the patch isn't a complete diff against master, but the last of a set of commits? Ooops, I didn't know you need to update a review request with the full patch. Squashed both commits (the original and the typo fix).